Providing estate sales services with the utmost respect, expediency and honesty, making your transition easy and stress-free. Serving McAllen, Harlingen, Weslaco, Brownsville, and Rio Grande Valley area. 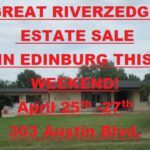 Riverzedge Estate Sales provides estate sale services and liquidations in the Rio Grande Valley (RGV). In addition, we conduct moving sales and down-sizing sales. Our estate sale services area includes the entire Rio Grande Valley, from Rio Grande City to McAllen, Harlingen, Brownsville and South Padre Island. In fact, we are one of the foremost estate sale services in the RGV–from Rio Grande City to Brownsville and all areas in between! 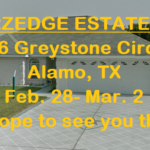 Estate sales and liquidations in the Rio Grande Valley are our forte! First, we have an outstanding team. 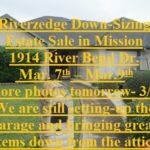 Riverzedge Estate Sales is a husband and wife partnership. Our employees are hand-picked professionals. All team members are life-long RGV residents. As a result, we have a unique perspective on the market in the Rio Grande Valley. We understand what makes McAllen different from Brownsville, what makes Weslaco different from South Padre Island, what makes Harlingen different from Rio Grande City. Simply put, we can get it done in any of these Rio Grande Valley cities! Together, we have many years of experience in estate sales services. For example, we have liquidated the estates of our own parents. Also, we owned an antiques store in McAllen. 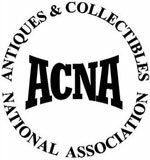 We have invaluable knowledge of collectibles and high-end furnishings. In a nutshell, we understand the market and culture in the RGV! Let our knowledge and experience guide you! Next, we recognize that liquidating the estate of a family member can be overwhelming. We know that people often have sentimental attachments to certain items. Moreover, we understand the complexities of making decisions when several family members are involved in the estate liquidation. Let our knowledge and experience guide you through this. Without doubt, we have conducted many estate sales successfully; our testimonials page page is just a sampling of that. 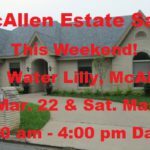 We have conducted estate sales in McAllen, Harlingen, Brownsville and most of the towns in between. For example, we’ve done fine, high-quality estate sales and rustic farm estate sales and all types in-between. No sale is too big or too small, no two estate sales are ever alike–and we’ve handled them all! From the ranch lands of Rio Grande City, to the historic streets of Harlingen, to the balmy resacas of Brownsville, we have the knowledge and experience for your estate sale and your market. 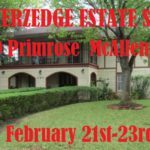 In addition, our estate sale shoppers come from all over the RGV–from Rio Grande, McAllen, Weslaco, Harlingen, and Brownsville and all areas in between! Finally, you can rely on us for realistic prices on all items. This helps maximize profits. And of course, during the estate liquidation setup, we will point out any exceptional items that you may want to keep. Our commitment is to provide the best estate sale services in the Rio Grande Valley. Ultimately, our commitment to all clients is to serve with the utmost respect, expediency and honesty, making your transition easy and stress-free. Simply put, we are the premier estate sale company in the Rio Grande Valley! Need a personal property appraisal for tax purposes or to settle an estate? We can help with that, too! As certified personal property appraisers, Andrew and Jane can provide a fair market value of your estate for tax or re-sell purposes. This is a service that is separate from the estate sale services. No other liquidation company in the RGV can offer this two-fold expertise. We serve the Rio Grande Valley and can handle your estate sale/liquidation, moving sale, or down-sizing sale; contact us by email or give us a call at 956-279-9445! Email us to sign up to be notified about future sales. Or you can sign up for text message notifications–just text the word “bestsales” to 33222!